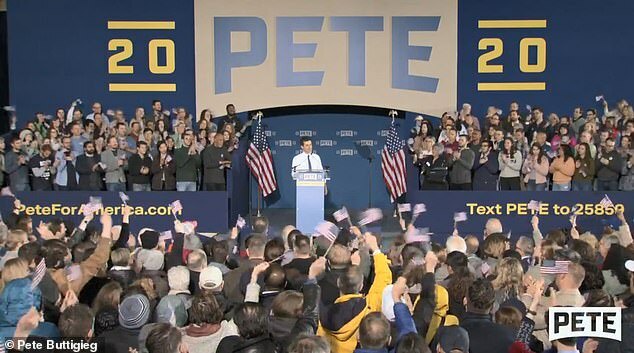 South Bend Mayor Pete Buttigieg, a breakout star of the 2020 campaign, formally launched his presidential bid on Sunday with a criticism of President Donald Trump's vision for the future of America. 'My name is Pete Buttigieg. They call me Mayor Pete. I am a proud son of South Bend, Indiana. And I am running for President of the United States,' he announced to a roaring crowd in his home town, the Daily Mail reports. Buttigieg, in his announcement address, tied his presidential bid to the recovery of South Bend, a touting of his 10 years as mayor of the city. He gave his remarks in Studebaker Building 84, a building that closed during the economic down turn in 1963, and used the symbolism of its regrowth heavily in his remarks.